BRACE is a foundation-building project funded by the UK's Natural Environment Research Council (NERC) as part of its Global Challenges Research Fund. 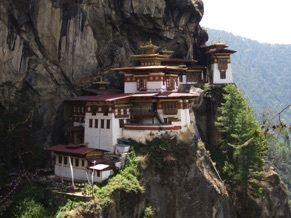 The project is designed to forge new relationships among geoscientists, engineers, social scientists, historians, and policy makers to address seismic risk and develop reslience-building strategies across Bhutan. Our team will combine tectonics, seismology, geomorphology, geography, environmental history, environmental decision making, engineering, development, and education to investigate the links between historical records of seismicity, seismic hazards, and the impact of earthquakes on environmental issues, infrastructure, and populations. 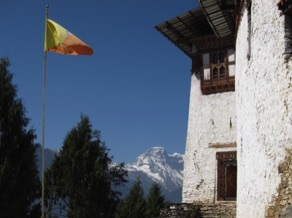 Our aim is to develop resilience and research capacity within Bhutan to cope with earthquakes and their cascading effects on the environment, infrastructure, business, and society. The BRACE project team brings together a wide range of experts from Bhutan, the UK, and the USA. To find out more, visit our Who We Are page. You can find out more in the University of Bristol press release and this Cabot Institute profile piece.